I’m Ed Smith, an Antelope car accident lawyer. As of the beginning of 2017, there were 26,484,646 licensed drivers in California with more than 34 million vehicles registered. This was a sizable increase over the previous year. One of the problems associated with more vehicles on the road is the increased risk of a car accident. driver error and may include overcorrecting, fatigued driving, drinking and driving or distracted driving. Ways to avoid single vehicle accidents include obeying traffic laws and the rules of the road. Rear-end collisions: The National Highway Traffic Safety Administration (NHTSA) reports that such collisions account for about 29 percent of motor vehicle accidents. These may be caused by inattention, speeding or tailgating. Maintaining a safe distance between your vehicle and the one ahead, leaving your cell phone turned off and obeying traffic laws can help. Head-on collisions: These types of collisions are more dangerous than other types because they commonly occur on highways where both vehicles are moving at high speed. Alcohol consumption or drugs and wrong-way drivers are often the cause. Traveling in the slow lane can help in some cases since wrong-way drivers almost always move into the fast lane. It also gives you the opportunity to take an evasive action in this situation. 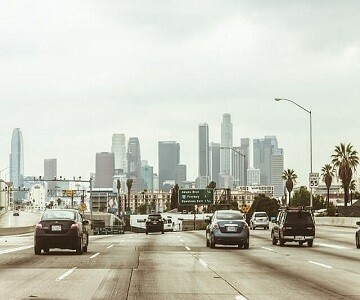 Merging vehicles: Vehicles that are trying to merge into traffic, particularly on freeways, can be subject to poor timing and crash into another vehicle already traveling in the lane. Using extra caution when merging can help prevent this type of accident. Multi-car collisions: These types of accidents are more common in congested highway traffic or in bad weather conditions when one vehicle makes an emergency stop or slows suddenly. One way to help avoid multi-car crashes is to maintain a reasonable following distance between vehicles, so the vehicle behind has time to take evasive maneuvers, adjust their speed or stop. Get medical treatment: If anyone at the accident site was badly injured, it is necessary to call 911 and request emergency transportation to the hospital. If you or others are not badly injured, it is vital that you see a doctor as soon as possible after the accident. This is important for two reasons. It documents how you were injured and allows a physician to review any injuries you have and provide you with information about what to look for in the days ahead. Some injuries will not become symptomatic for up to 72 hours such as a cervical sprain. Information from others: Ask for contact information from drivers as well as witnesses. Get insurance information from other drivers involved in the crash as well as registration and driver’s license numbers. Insurance company: You are required to notify your insurance carrier after an accident. However, you are not obligated to answer questions other than where the accident happened. 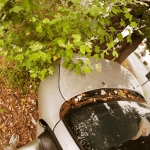 Rather than answer questions at this vulnerable time, you can instruct the representative that they can talk to your auto accident lawyer in the future. Take pictures: Use your cell phone to take pictures of the accident scene. Capture the placement of the vehicles as well as roadway marks such as skid marks. This information will go a long way in determining how the accident happened. It’s important to do this before the accident site is cleared, making it impossible to obtain this information later on. Call the police: The police may or may not come to the accident site, depending on the type of accident. If they do, make sure to get the law enforcement officer’s name and a copy of the police accident report. Keep the clothes you were wearing: They may be offered as proof of injury later on. I’m Ed Smith, an Antelope car accident lawyer. When you or a family member is involved in a car accident, it can cause serious injuries and resulting medical bills and other expenses. If this happened to you, give me a call at (916) 921-6400. I am honored to offer you compassionate, friendly and free advice. Outside the 916 area code, call (800) 404-5400. Since 1982, I’ve been able to help residents of Antelope and Northern California with car and truck accidents as well as traumatic brain injuries and wrongful death. As a Million Dollar Advocates member, I join other trial attorneys with one million dollar verdicts/settlements for their former clients. Visit our Settlements and Verdicts page for information on some of our past cases and their results.